Customizable media and filters for single-use bioprocessing applications. 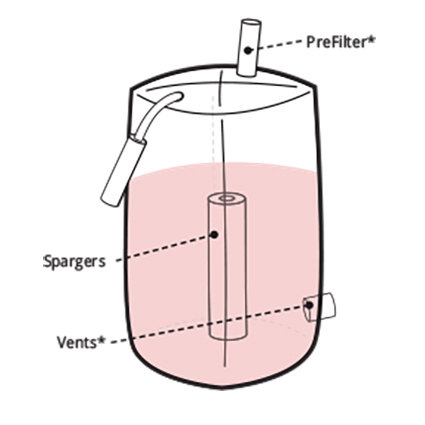 Bioprocessing media and filters, including spargers, floating filters, wicks, vents and pre-filters for tangential flow filtration can be used in a wide range of applications. Offered in a wide range of material options, including polyethylene (PE), polypropylene (PP), porous polymeric fiber and polytetrafluorethylene (POREX® Virtek® PTFE) that provide critical versatility and functionality in single-use bioprocessing applications. Scalable, robust and easy to work with, so that they can be incorporated into various production assembly processes. 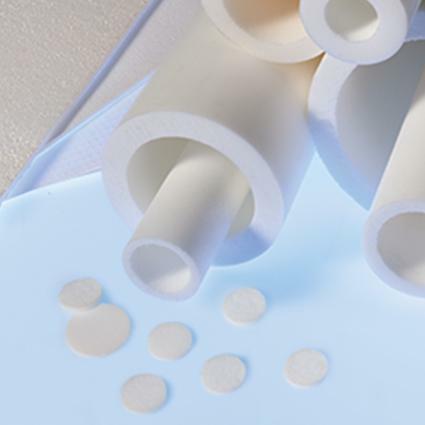 As a complete porous materials solution, POREX® bioprocessing media provide critical functionality and performance in single-use bioprocessing applications. Are robust and easily incorporated using common techniques such as press-fitting, heat-staking and ultrasonic welding. Ensure performance, accuracy and reproducibility–Certified Pure POREX™ materials and filters are rigorously tested and qualified by independent analytical, clinical and life cycle microbiology laboratories to help insure the purity demanded in bioprocessing applications. Comply with regulatory standards–POREX® bioprocessing media and filters are USP Class VI, Gamma sterilization and TSE/BSE compliant.